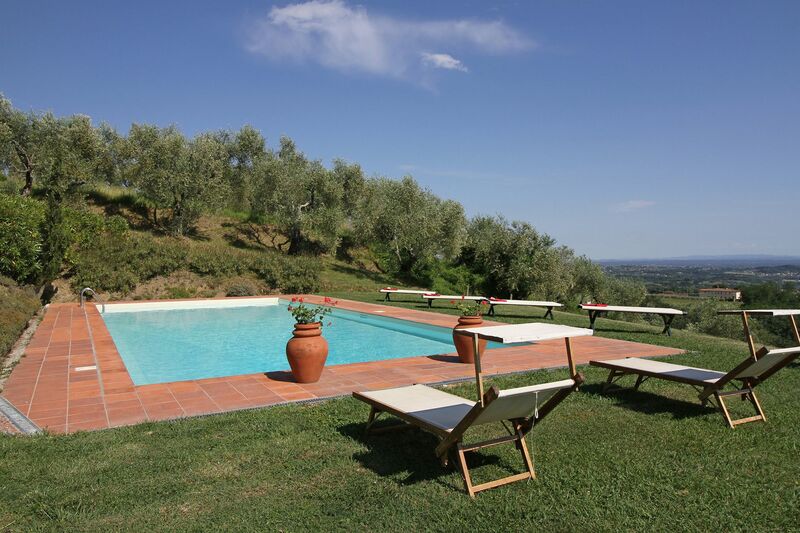 This traditional 17th century Tuscan country house with private pool is part of a stunning extra virgin olive oil estate. 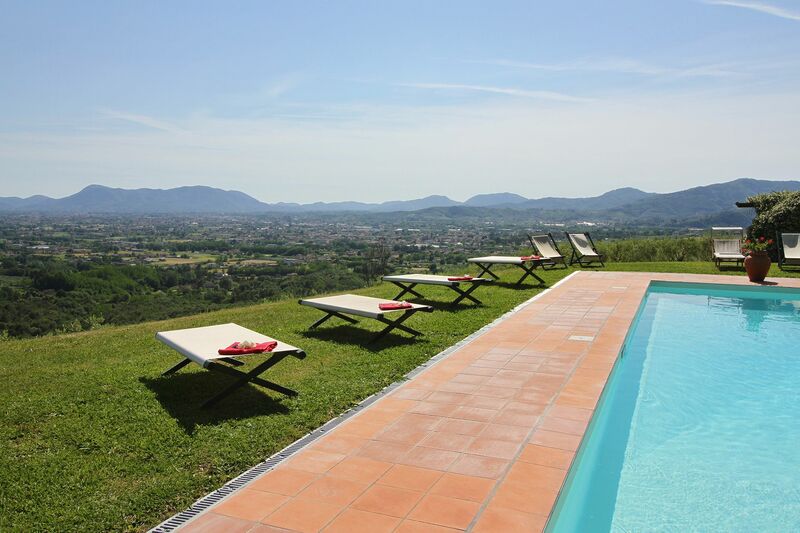 The house is located close by the city of Lucca (12km away) in an extremely panoramic position over the plain below. 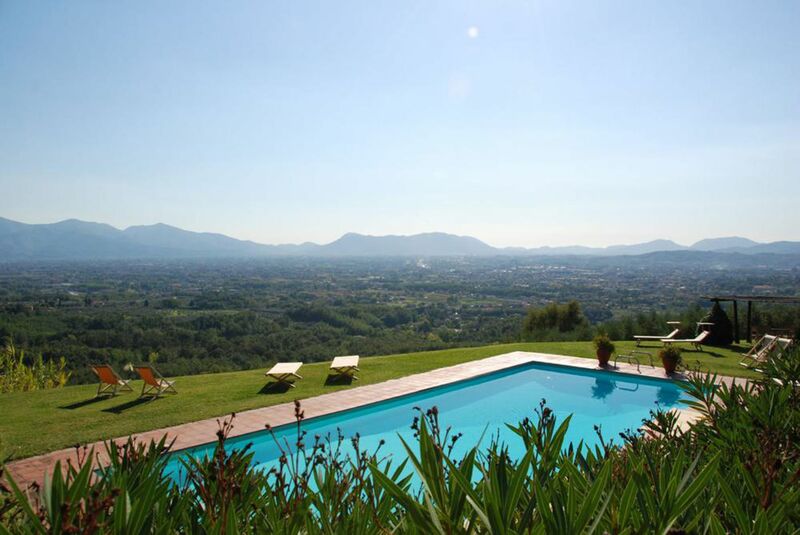 Breathtaking views can be enjoyed also from the swimming pool, positioned 150 meters from the house furnished with a kitchenette and a bathroom. 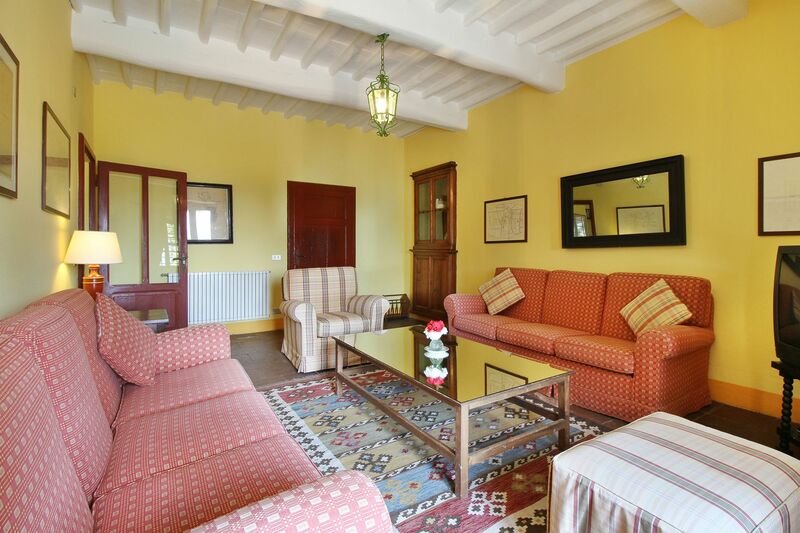 The house is ideal for groups of friends looking to spend their holiday together while retaining their privacy as the bedrooms are located in different parts of the first floor, reachable through different staircases. 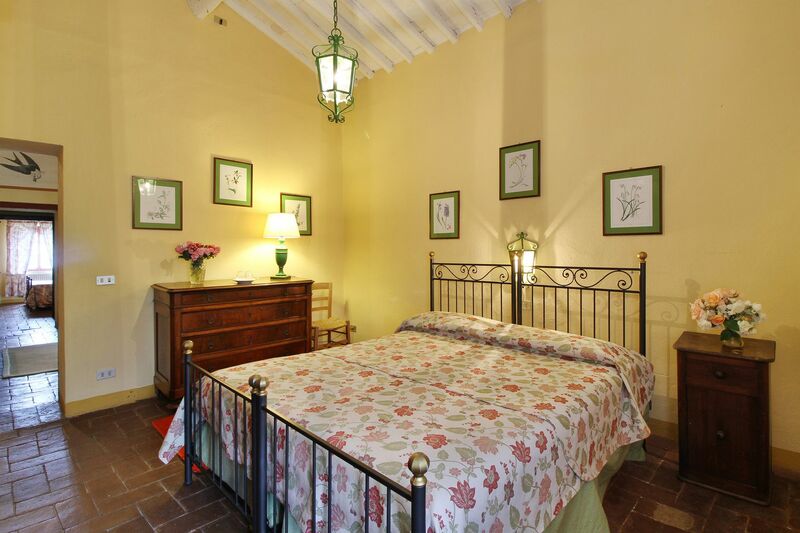 To allow guests to enjoy their vacation also during the warmest days of summer, portable air-conditioners are available in all the bedrooms. 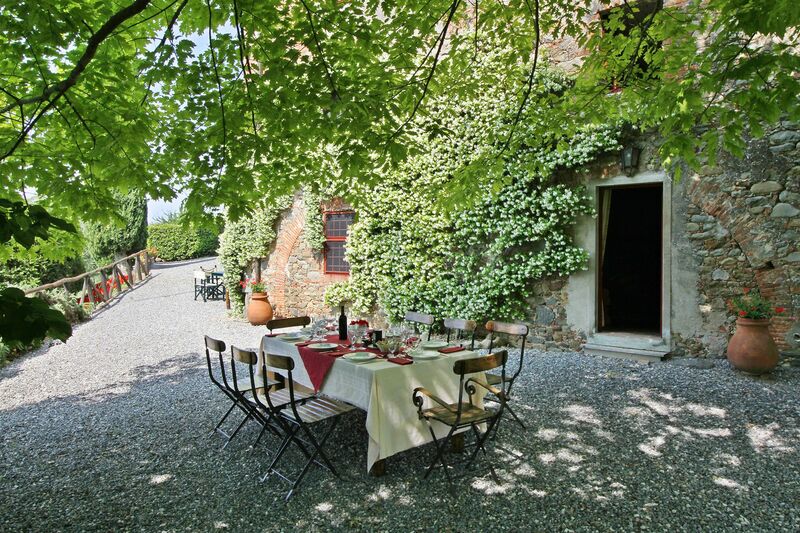 Past guests have particularly enjoyed dining under the shades of the giant holm oak in front of the house. 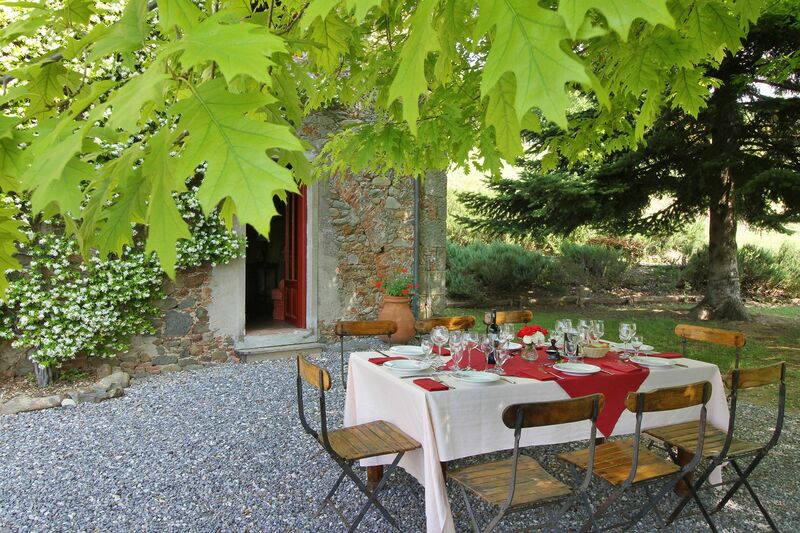 The English speaking staff of the Estate will be available to provide excellent cooking services at the villa, cooking classes and any support needed by guests during their holiday. 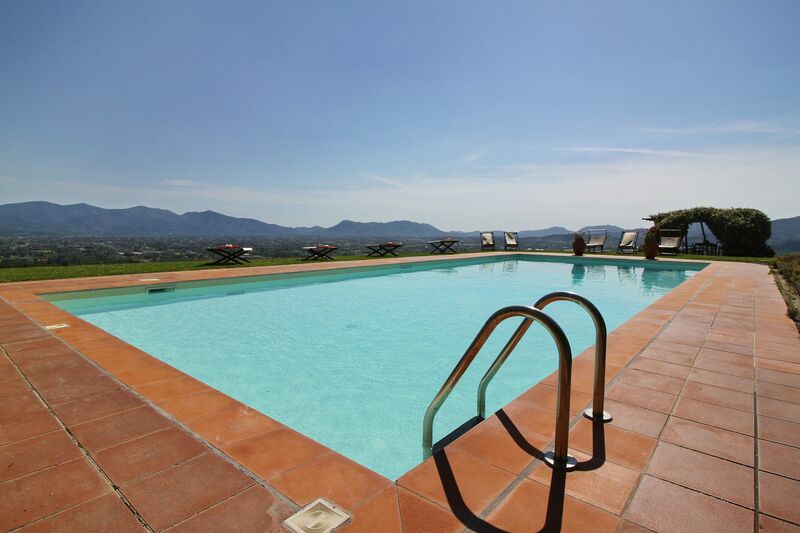 On the estate there is a tennis court that can be used by clients staying at Il Leccio. 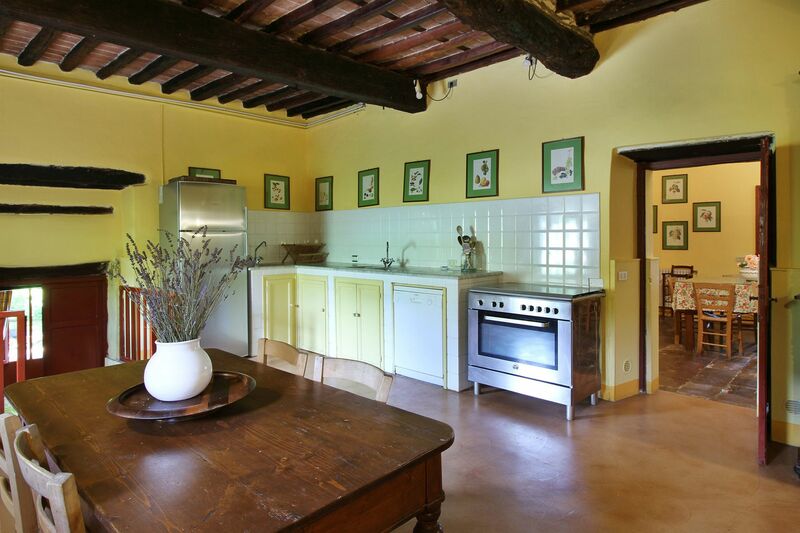 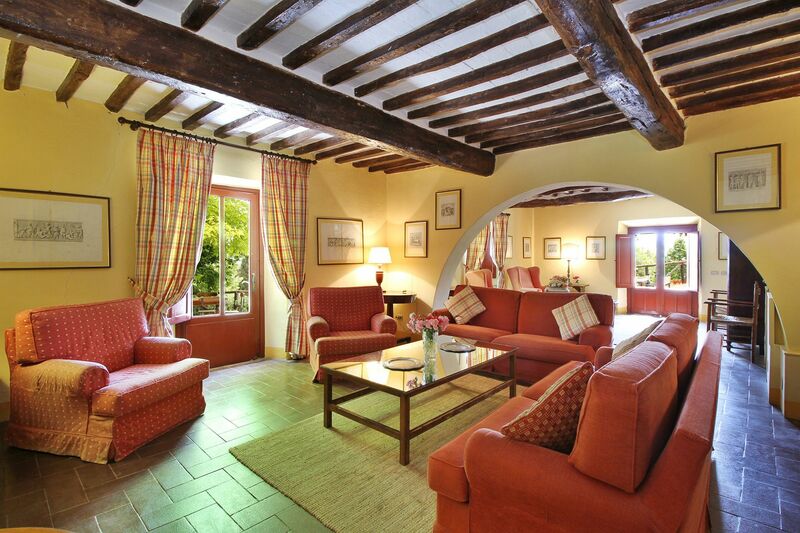 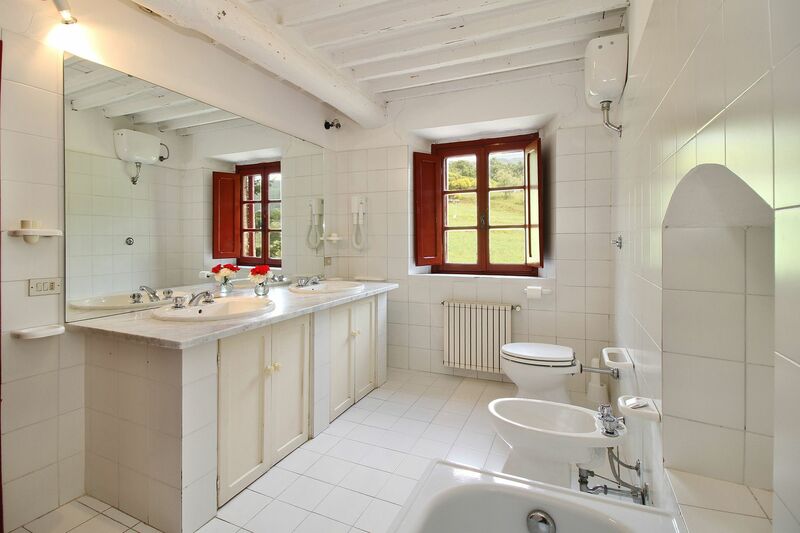 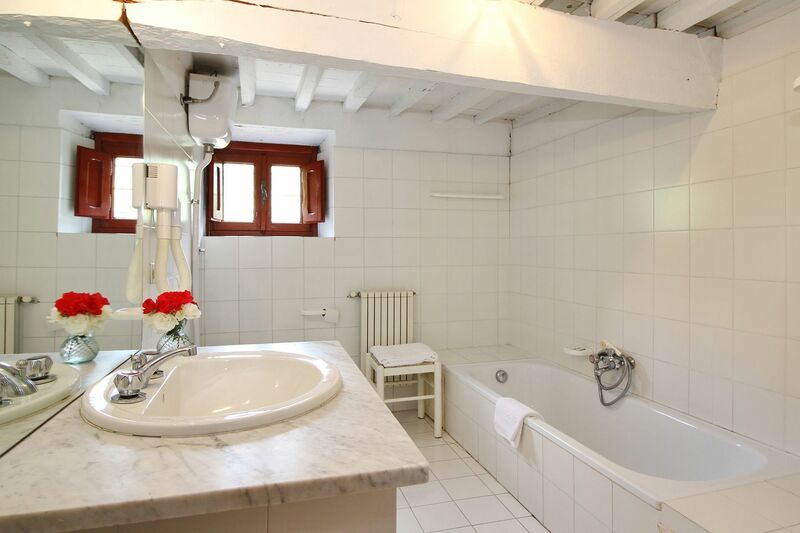 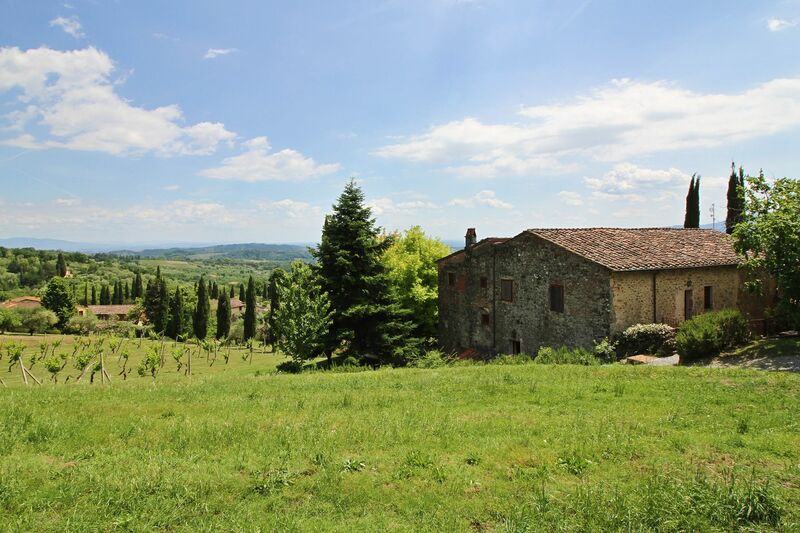 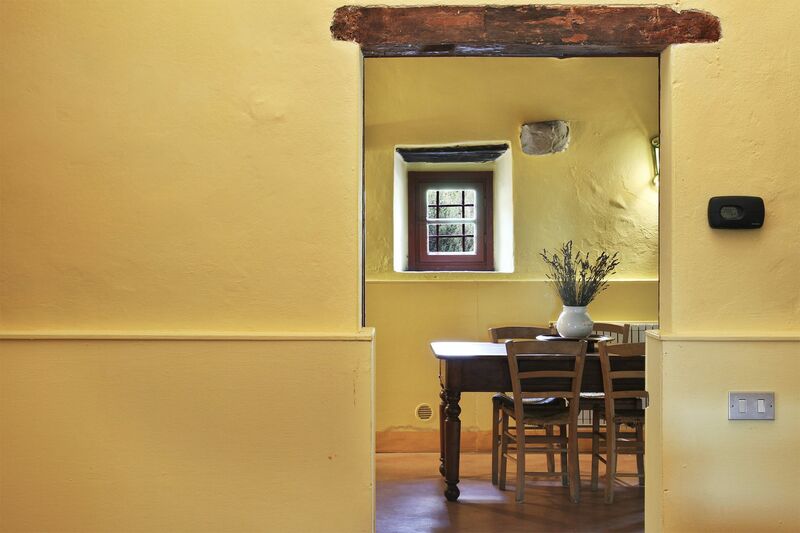 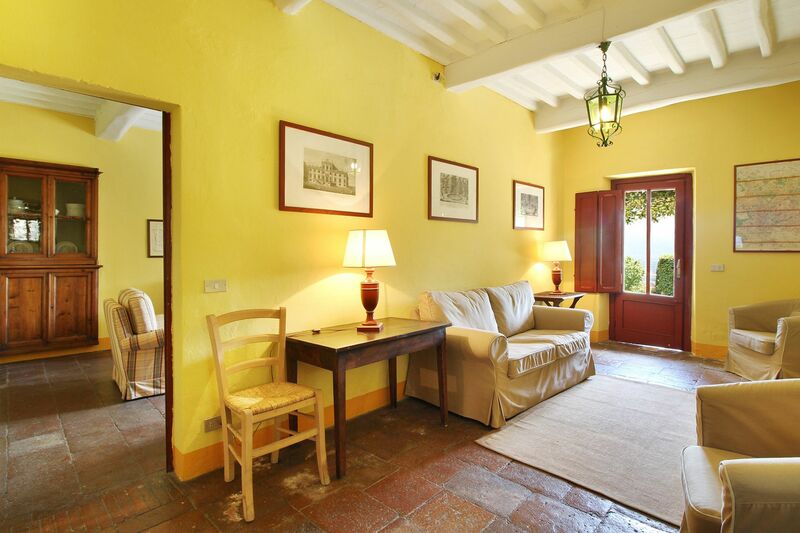 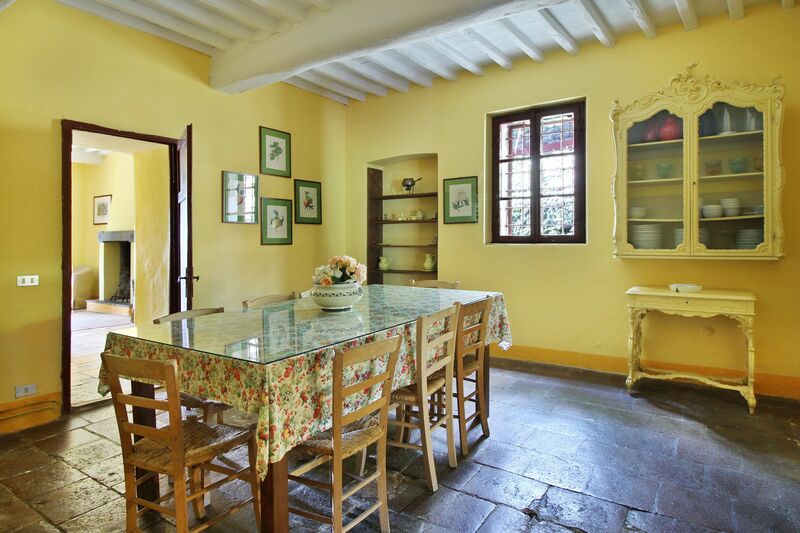 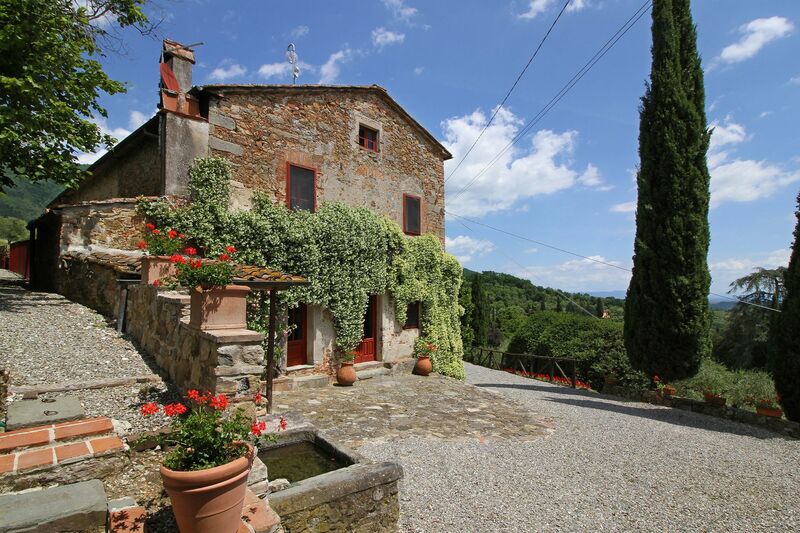 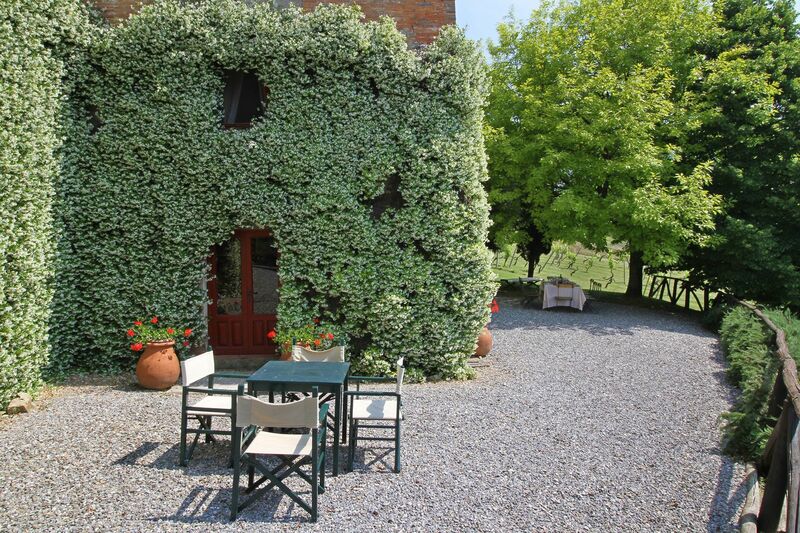 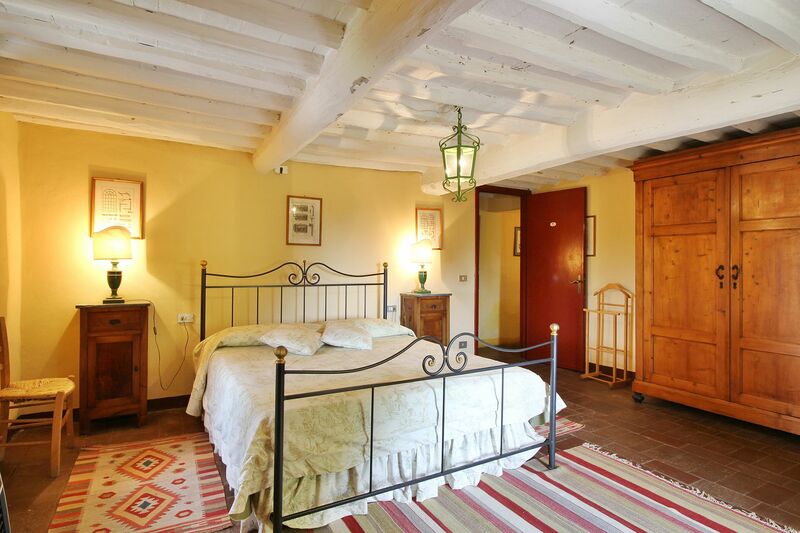 This property is ideal for those looking to explore Tuscany. 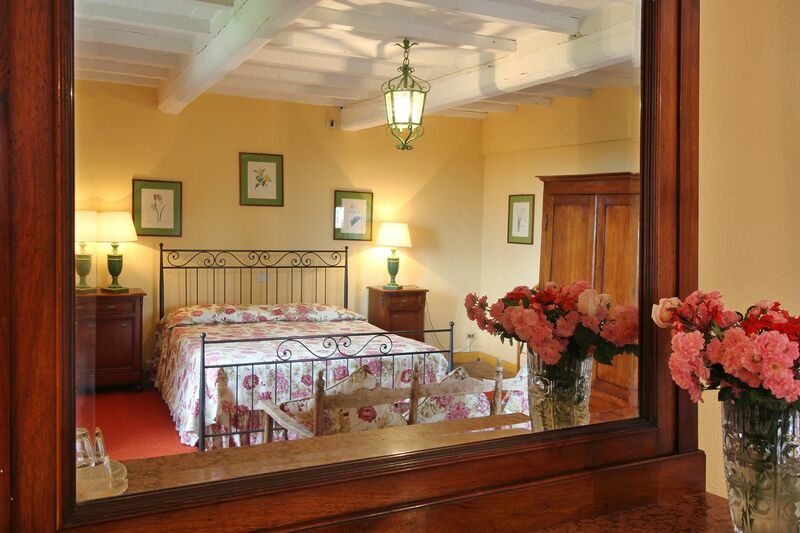 Il Leccio is a short drive away from many of the main Tuscan cities, the Versilia coast with its many coastal towns and many attractions of the region. 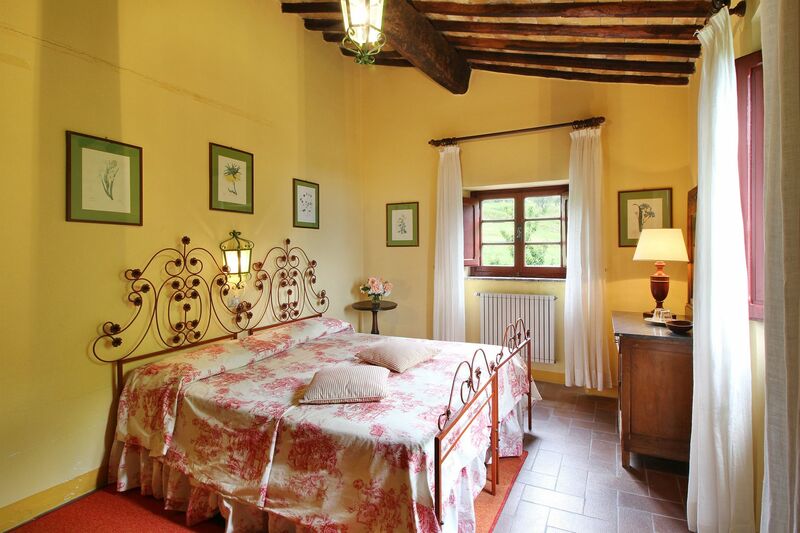 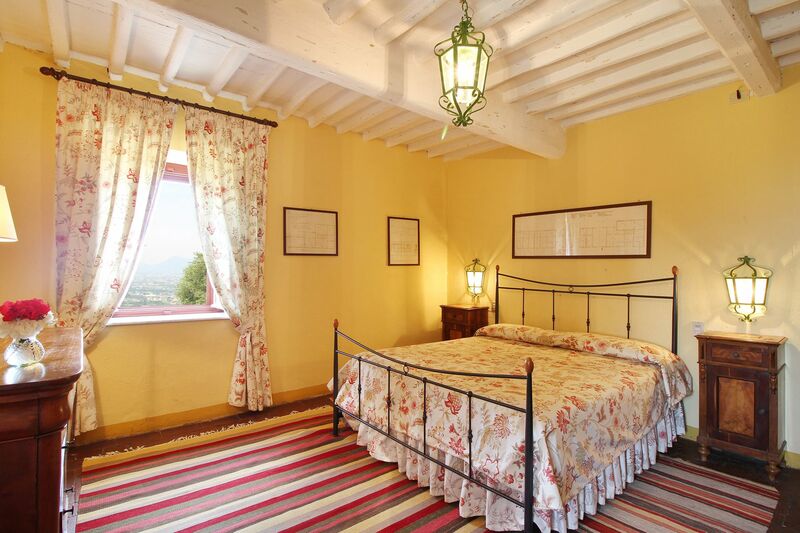 Moreover, most of the most renowned Lucchese historical villa are in this part of the Lucca countryside. 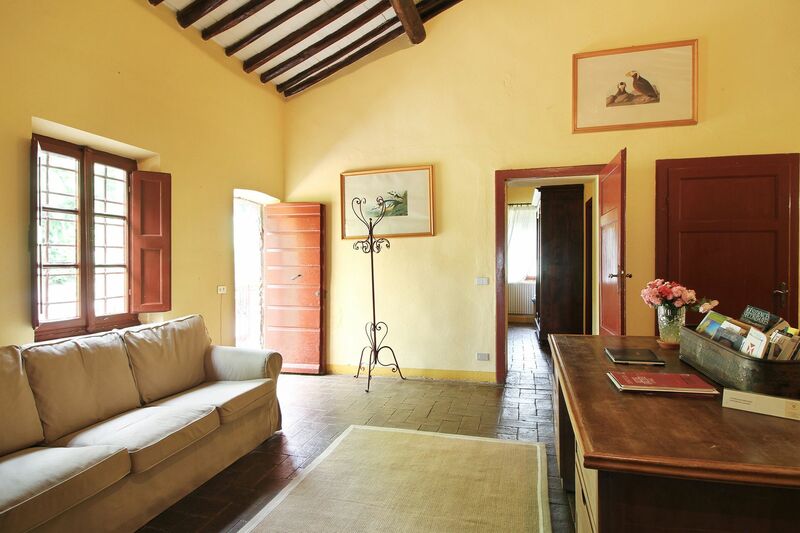 Large living room with fireplace opening onto the garden; TV room opening onto the garden; small sitting room with fireplace, large kitchen, dining room. 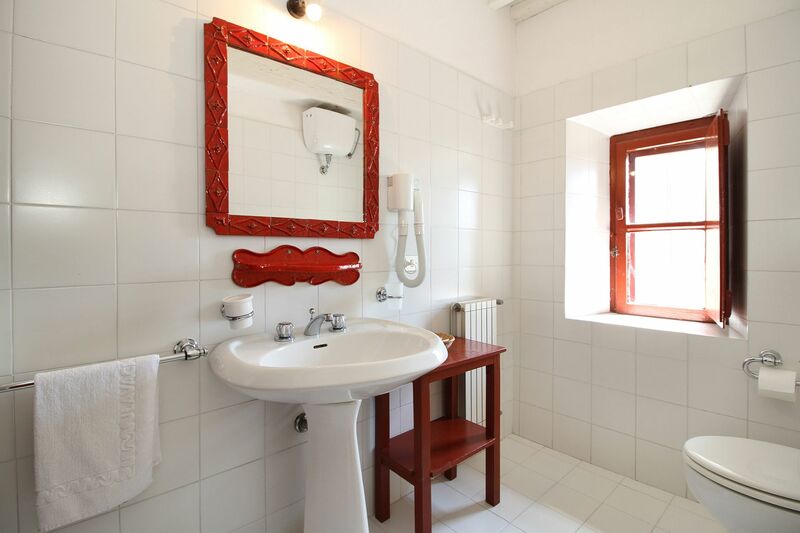 Entrance; double bedroom and twin bedroom sharing a bathroom (shower); twin bedroom with bathroom en-suite (bathtub); double bedroom with bathroom (bath and separate shower); laundry room, 1 twin bedroom and 1 double bedroom sharing a bathroom (bath and shower).